I would like more information about 1005 Makarios Drive. 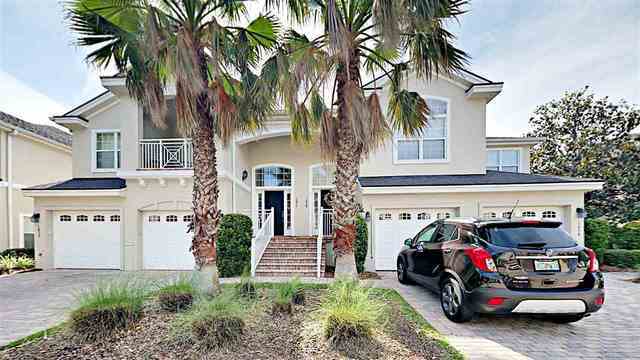 Carriage Homes at Makarios are one of the most complete and sought after complexes on St. Augustine Beach. It is gated, with two pools and 1 car garages. This Dover unit has been meticulously kept over the past 13 years it has been owned. It was recently painted in Jan.2018, kitchen was completely remodeled with tile counter tops in Feb. 2017, new appliances in March 2017 and AC was replaced in 2013 . Floors are Engineered Oak. Split bedrooms gives privacy for all. Addnl Marketing Remarks: The open floor plan is great for entertaining or just convenience.On cool nights just snuggle up in front of the electric fireplace which gives a nice warm glow. Or have your morning coffee on the screened porch and listen to the birds and the sounds of the waves crashing on the surf. Come live the beach life and enjoy all of our fine restaurants, concerts at the beach and farmers market.